No customer experience should be accidental. Everything needs to be by design. 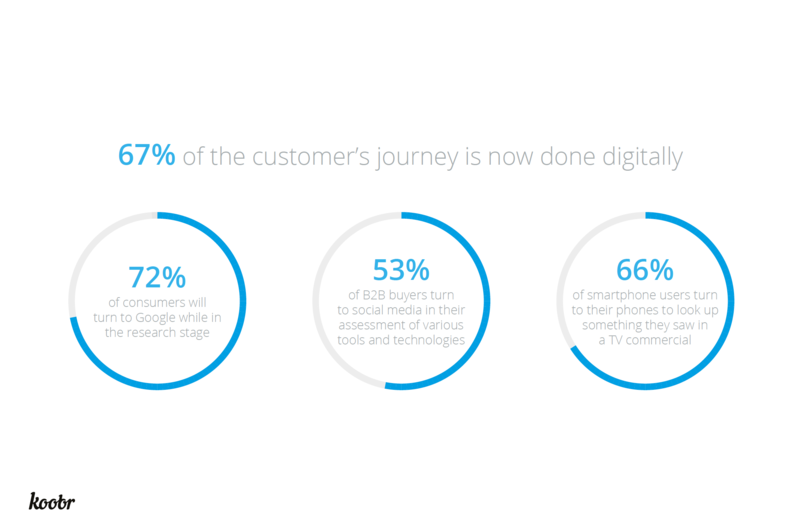 That’s why having a customer journey is important in your brand communication. Does your business have a customer journey in place? If not, you could be severely neglecting the needs of your customers, as well as seriously impacting your brand communications in a negative way. 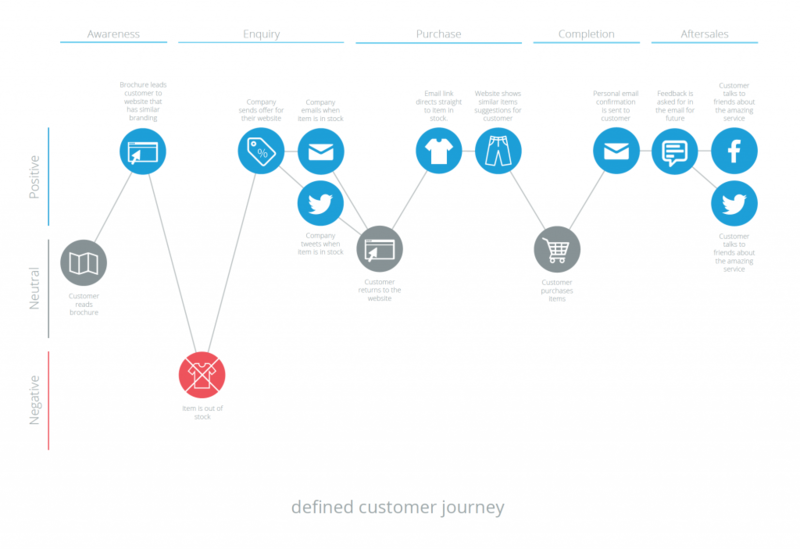 But what is a customer journey, and why is it so important to the overall customer experience? Whether you’re thinking from the point of view of a business or a customer (because we’re all consumers, at the end of the day) it’s easy to recognise the value of products and services, but customer experience is an important part of the entire package as well. Not only influencing the customer’s motivation to buy, it can also establish a positive connection that transcends customer satisfaction – emotional attachment. When we form an emotional attachment to something, it’s because it has a deep, meaningful affect that leaves our experiences more pleasurable and our lives that little bit better. Consequently, we attribute greater value to these attachments; 86% of buyers surveyed will pay more for a better customer experience. It’s a principle that companies like Apple, Google and Amazon have been advocating for a long time – differentiate yourself based on the experience you deliver to customers, not just on the products you sell. With the idea of ‘customer experience as product’ firmly in mind, it makes perfect sense then to apply the same level of deliberate engineering in its delivery as you would to everything else. Customer experience can be broken down and mapped as a ‘journey’ charting the customer’s interaction with your business – from start to finish, across multiple touch points – and fit to align personalised customer needs with your objectives. This is what’s known as the ‘customer journey map’ (above). We think that Kerry Bodine, customer experience consultant, perfectly sums up the premise of a customer journey map in the below quote from her video post on the Moz blog. The goal of the customer journey map is really to get a holistic view of what the customer is going through from their point of view and really what it’s like for them on a personal level, that human level. Whenever we use the phrase ‘customer journey’ it’s most commonly thought of in terms relative to website design (the user journey), with the aim of developing a website that provides a user-friendly experience in order to facilitate conversion. Well this is precisely the same concept we’re talking about here, only on a scale that encapsulates every experience the customer has with your brand as a whole. A customer journey map is certainly a useful tool for identifying pain points between customers and business processes, removing barriers and optimising conversion-rates. But to view it from a purely sales perspective would an oversight on how it improves customer experience and brand communication. The rise of omnichannel marketing has only pushed this need for branded, customer-centric experiences further, and, by the year 2020, it’s said that customer experience will overtake price and products as the key differentiator between competing brands. Users can intermittently switch between devices and will expect a cohesive experience – the same brand messaging, values and culture – at every step. This notion isn’t limited to brands appealing to customers on a consumer level either. Likewise, many B2B products, such as software as a service, telecoms, and HR could be viewed as indistinguishable. It’s really the vendors and the experiences they provide that set them apart from competitors. With that in mind, it’s now the responsibility of EVERY business to account for all of these touch points in their customer journey, and to provide an experience that is accessible and satisfying on every level. Get in touch and tell us all about it.